The difference between a brilliant web designer or developer and the average one is that the better one is using the right tools and services. This is a true story found out after discussing with hundreds of persons in the last 2 years. Partner with a remote team for having a website done faster and better will bring you a happy and returning customer. Same happens when you are helping him with an excellent landing page that converts, looks great and costs a fraction of the normal cost. All of these can easily be achieved by having the best tools and services at your disposal. Ideas are important, this is how the world was created. Be creative and use these tools and services, you will get a lot of help from them. 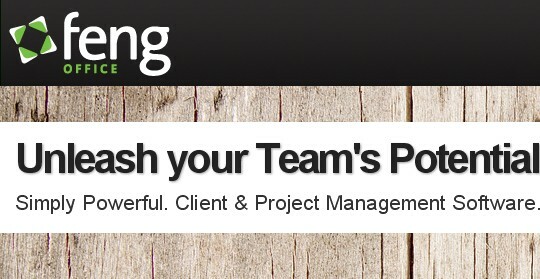 Below you will find 30 handpicked solutions from different fields that will help you get things done faster. 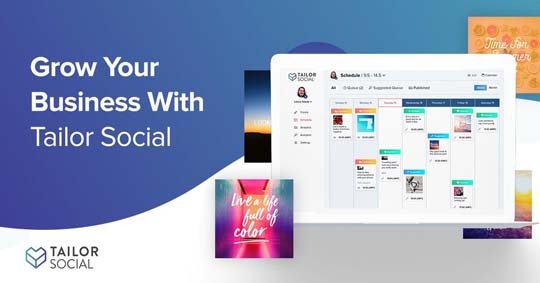 If you’re looking for a quick and easy way to get your social media off the ground for your startup or project, Tailor Social supplies a powerful solution. The new platform is designed to get you posting new and unique content as soon as possible and leverages technology and design know-how to get you going. It starts with the Content Guru algorithm, which will study your preferences regarding content and post types, and populate your social media schedule for uploading. You can see each post, add text or modify them, or simply allow them to be uploaded as-is. You can also add your own unique posts by using Tailor Socials’ designer. This tool lets you modify existing templates by changing backgrounds, font styles, and text to design truly unique posts in seconds. Once you’re happy with your content, you can also set it on Autopilot and the platform will automatically find new posts and upload them at the right moment. You can easily manage one or two accounts on your own with the Basic plan which starts at $10 a month. If you have a team which requires access, or up to seven accounts to manage, you can choose the $15-a-month Professional plan. For larger organizations, or if you manage several clients’ social media presence, you can choose the corporate plan for $50 a month which gives you control of up to 30 accounts. 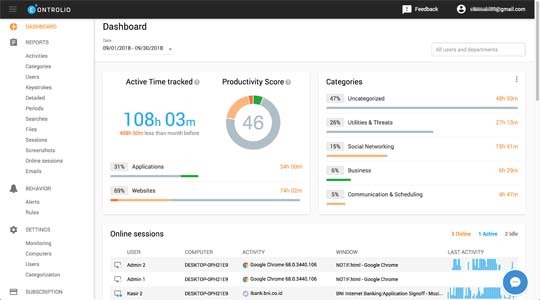 Loggly is a log monitoring tool that offers cloud monitoring for everyone. With over 210,000 companies using Hotjar, this is by far the best solution on the market. It is a perfect fit for all kind of needs, from startups to Fortune 500 corporations likes WordPress, Magento, Google Tag Manager, Shopify and many others. Stop guess working and find out exactly how people are interacting with your website. See where they click, tap or scroll. Find out more where is the dropping off point, on which page they leave and on which step. Hotjar is packed with many powerful features. 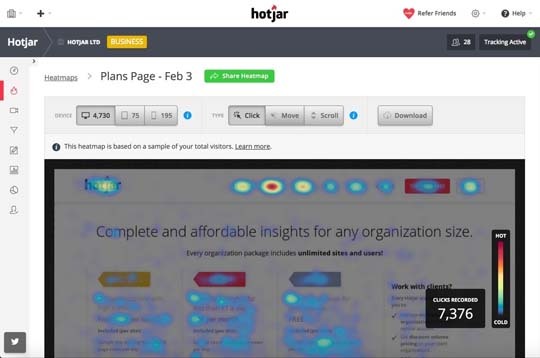 You have the Heatmaps, Recordings will help you have videos of your website visitors behavior, there are feedback polls and instant visual feedback directly on your website and many others. Register for free, it takes less than 1 minute, and you don’t need a credit card. Improve your website and have better conversion rates. 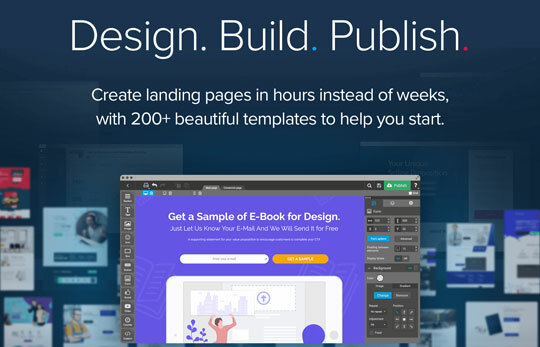 Landingi is a popular landing page builder used by marketers and designers for creating highly converting pages, in hours, without having any coding skills. It is a budget-friendly solution that is packed with over 200 gorgeous templates to start with, 5,000 free images, 800 Google Fonts and lots of features that will make your life easy. A/B testing, video background from YouTube or Vimeo, integration with MailChimp, HubSpot, Salesforce and many others. There are over 4,000 companies using it, including the well-known PayPal and SonyMusic. Pricing starts at $39 paid monthly and there is a 14-day free trial period where you don’t need a credit card to register. Orion is one of the most advanced and complete icon libraries on the market. They are offering 2 plans. One is the free forever plan which is loaded with 6,014 gorgeous icons and the pro plan which starts at $5 per month and adds another 2,599 premium icons. Both are packed with a powerful web App that is offering advanced functionalities. Organize icons and customize them for your needs. Start using Orion icons and improve your projects. 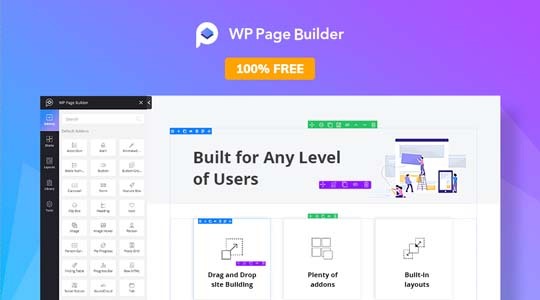 WP Page Builder is being recognized in the market as the next best WordPress page builders, a free solution that is packed with tons of features and functionalities. Everybody can build a stunning website with it, there is no need to have any codings skills or special knowledge. 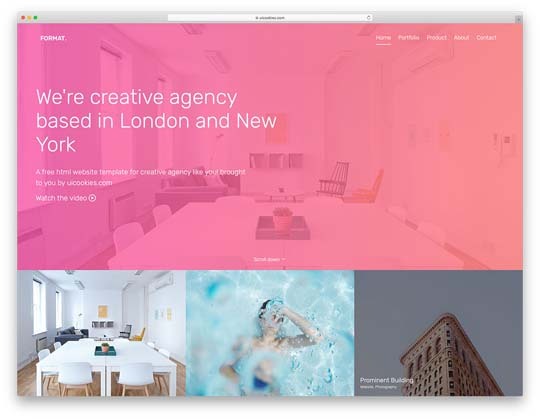 Format is a powerful free theme based on Bootstrap that designers, web studios, and agencies can use for their next portfolio website. It comes loaded with features and functionalities that normally can be found on premium, expensive templates, not 100% free as Format is. 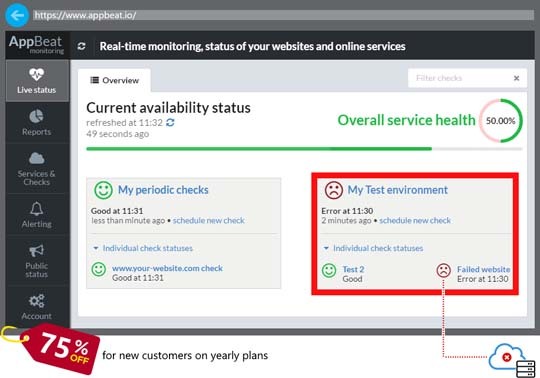 AppBeat is an excellent real-time monitoring service that will check your website, ping, email, domain, certificates and another status. You will be notified lightning fast via SMS, Email, and 10 other different ways if something is not working perfectly. Monitor your website and don’t let it go down. BrowseEmAll is recognized in the market as a top cross-browser testing solution that supports both manual and automated testing. It is used with great success by more than 10,000 companies, is fully loaded with lots of features and functionalities that will help you step by step. Trusted by all kind of companies, including large corporations like Xerox, AT&T, Accenture and many others, MultiBrowser is a professional and easy to use cross-browser testing solution. It supports both manual and automated testing and it is packed with powerful features: Mobile Browser emulators, Real Sandboxed browsers, Responsive Design screenshots and the excellent built-in screen / mobile recorder. 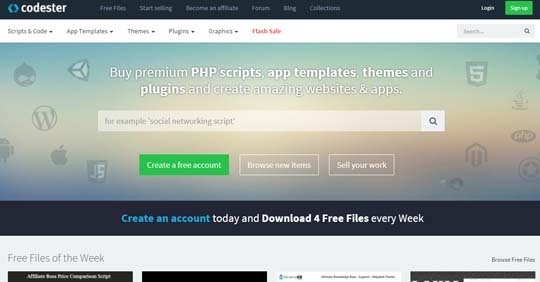 Codester is one of the biggest and fastest marketplaces for web designers where they can buy ten of thousands of premium PHP scripts, app templates, themes, plugins and more. People looking for an additional income can sell their products via Codester, they are not requesting exclusivity over their products. 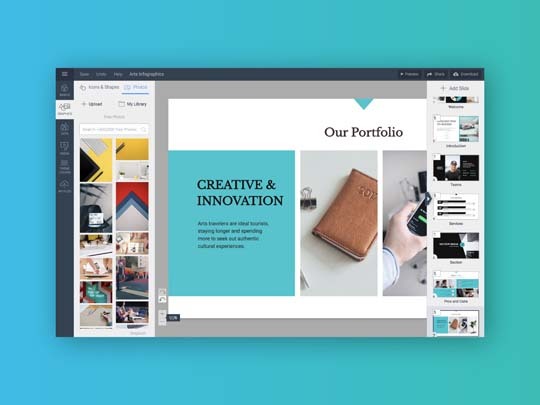 Visme is an invitation maker, an Infographic designer, a presentation tool and so much more – all at the exact same time. Finally, it’s easy to create the content you need with the design that will resonate with every last member of your audience. If you need a beautiful logo design and you want a budget-friendly solution, 48HoursLogo is a perfect choice. Let multiple designers compete over your design and you can pick what you like most. The platform works great and it is super simple to use. Get a gorgeous new logo design. 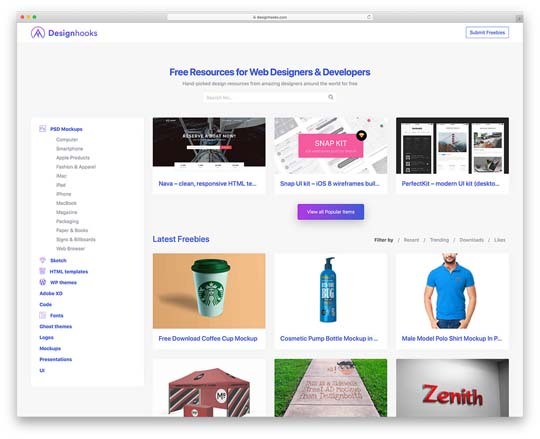 Designhooks is the best free resources website for web designers and developers where they can find thousands of high-quality PSD Mockups, HTML templates, WordPress themes and much more. Everything is being handpicked from professional designers from all over the world. 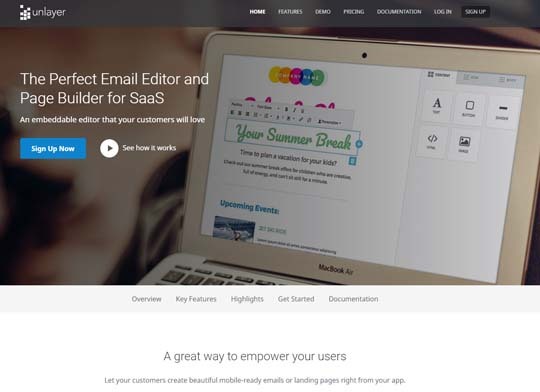 Create beautiful lead capture forms and highly converting landing pages with MailMunch. Convert abandoning visitors into subscribers with exit intent and other marketing tools. This solution is packed with a powerful drag-and-drop builder, professional templates, and functionalities that will help you every moment. 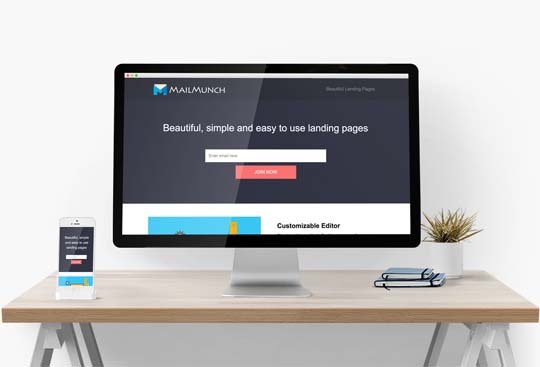 Professional landing pages can easily be created with MailMunch, using the powerful drag-and-drop builder and the included themes that look awesome. Looking to heavily convert website visitors into subscribers? MailMunch have the dedicated professional squeeze pages that will do that for you in days, not weeks or months. You only have to think for a good core offer and let the lead magnet attract subscribers. Userfeel is a powerful way to find out what real-life testers think about your website and even more important why. For $49 you will receive a video with the tester voice over and you will his or her mouse movements. It is the best way to understand how real people see your website so you can make improvements and let conversions rates go up. Unlayer is the best email editor with a drag-and-drop function that you can embed in your projects in minutes. It is loaded with tons of features and functionalities and you can check the demo on their website to have a better understanding. Register for the free forever account and upgrade it whener you need it. Have you ever wanted to work with real users to test your product or service? 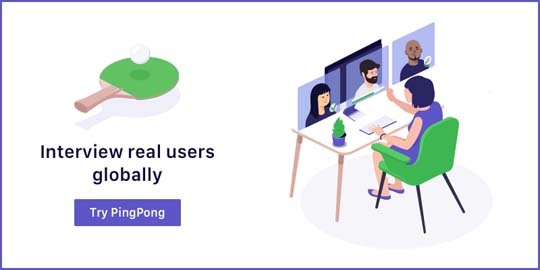 PingPong is a complete solution where you have everything in one place, from the interview phase to the final one, where your product is being tested. 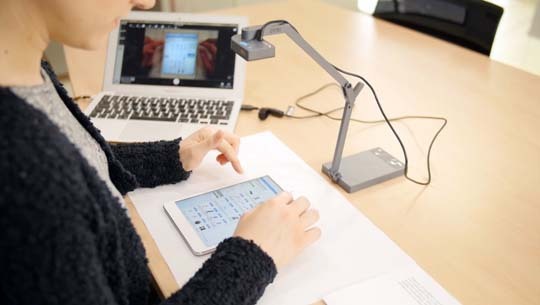 You simply start by browsing through tens of thousands of testers, you selected the ones that are great for your project, you schedule a video call with them with the built-in function of PingPong and you end by having them testing your product. It is very simple and the process is straightforward. Racks is a powerful and free to use software website theme that is loaded with features and functionalities that are normally found on premium, expensive themes. Racks can easily be fully customized in minutes, without having coding skills or any special knowledge. 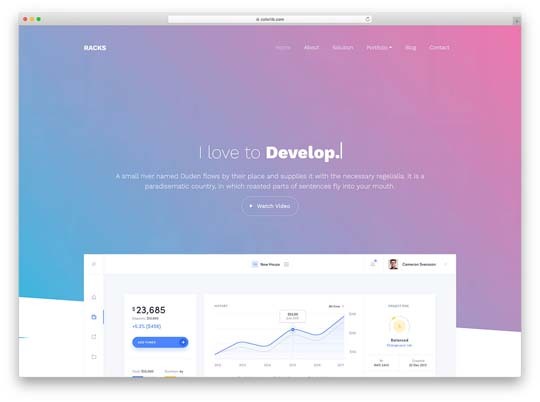 Build a new software website for free with Racks. Controlio is a powerful employee computer and internet monitoring cloud-based solution that you can use from any place in the world. It is packed with tons of features and functionalities that you will love. You can have real-time surveillance, continuous screen recording, key logging and many others. 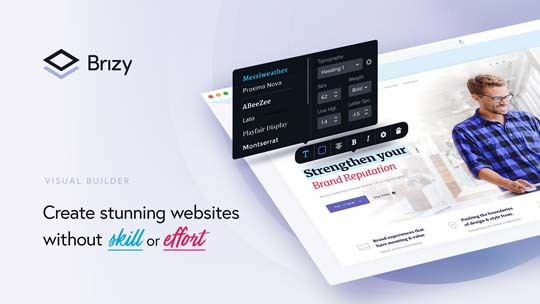 Brizy is a great way to build a stunning new website without spending a dollar and without having any coding skills or special knowledge. It comes loaded with an excellent drag and drop builder, gorgeous 150 premade blocks and many other cool functionalities. 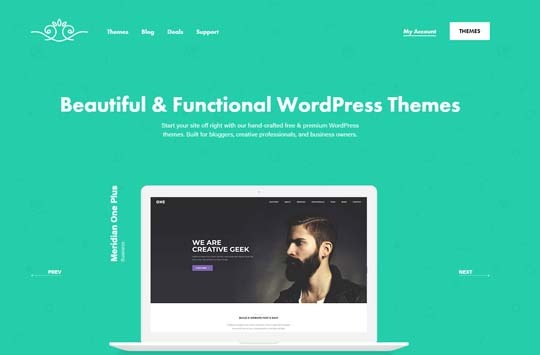 Meridian Themes is a powerful WordPress developer that invests a lot into building pixel-perfect themes. All of their products are SEO friendly, super easy to customize and lightning fast. Check their portfolio, you will be impressed of the high-quality of these website themes. Freelance Logo Design is a great way to get an affordable logo design while keeping spending at its minimum level. Let 3 professional logo designers and compete and you can pick what you like most from 6 custom logos that you will receive. 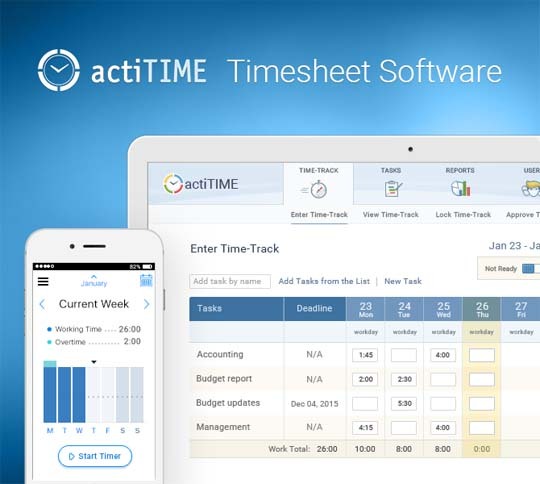 actiTIME is a time tracking software helping to record time spent on tasks, register sick leave and time off, monitor project progress and generate detailed reports for management and accounting purposes. Start a fully functional 30-day trial to see actiTIME in action. 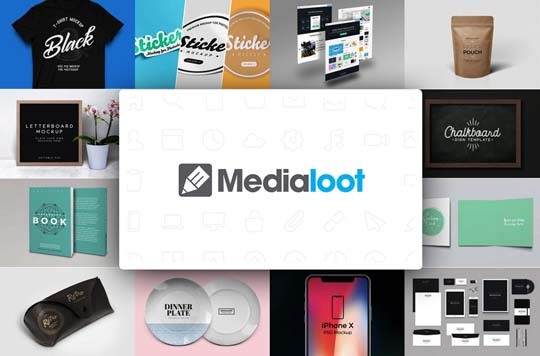 Medialoot is a huge and fast growing marketplace where designers will find thousands of free and premium professional fonts, gorgeous graphics, pixel-perfect themes and much more. Everything is being handpicked, that is why the quality of the product is outstanding. Logoshi is a great, fast and affordable way to get a new logo design in minutes. The logo maker is super simple to use and you pay only after you find a logo design you love. Give Logoshi a try, the pricing per logo starts at $5 and the results are first rate. Pixpa is a powerful portfolio website builder that you can use to build your complete online presence. 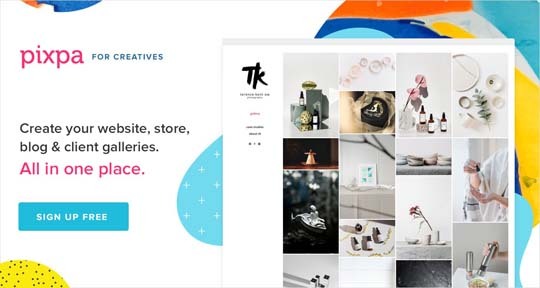 Easily integrate e-commerce, client proofing, and blogging tools in your stunning portfolio website with this complete solution. It is loaded with an excellent drag-and-drop builder and professional templates that you can use to start the work on your new website. You don’t need to have any coding skills or special knowledge. Start a 15-day free trial with Pixpa. 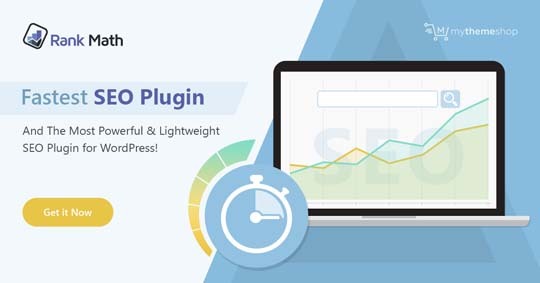 Rank Math is one of the best SEO plugins for WordPress on the market, being fully loaded with tons of features and functionalities. The plugin practically configures itself and your website traffic will go up. Soon more powerful features will be added, check their website. Goodie is a professional web development service where the pricing per website starts at $999. They are a perfect fit for designers looking for a reliable developer, for companies looking to amplify their online presence and for customers that need a 1-10 page modern website or a simple WordPress website. Discuss with Goodie your next project. Inspectlet will help you record and playback your website visitor’s actions so you can understand how you can improve conversion rates. Learn priceless information from observing your potential customers. See exactly what users are looking for and how they use your site. Understand their mindset and increase your conversion rate. Discover where visitors are getting confused on your site and what’s getting their attention. 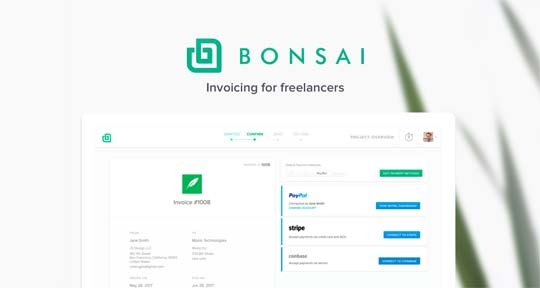 With more than 100,000 happy users, Bonsai is a powerful freelance invoice platform, dedicated for web designers, developers, photographers and other freelance work. Building and fully customizing smart invoices takes seconds and the platform can be used also for tracking activity and payments, for automate reminders and other things. Freelancers get paid an average of 13 days faster and have 3x fewer late payments with Bonsai. Get started for free.